In Win has launched C900W and C750W PSUs as part of its new Classic Series range. The two models are both fully modular and offer 900W and 750W respectively. They sport brushed anodised aluminium enclosures with rounded edges. Each includes a 120mm hypro-bearing fan with a maximum noise rating of 25dB, dropping to less than 20dB at low loads, sat behind a hexagonal perforated mesh. 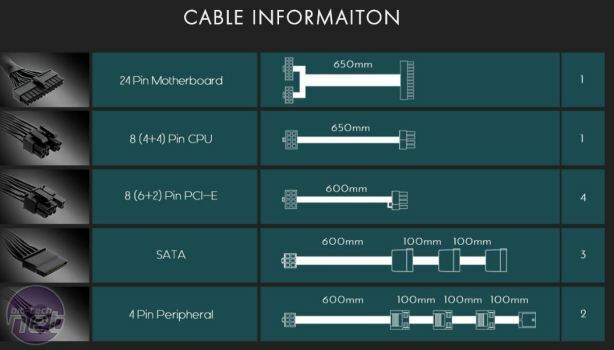 In Win includes a low-profile cable set with each PSU, which includes four 6+2-pin PCI-E connectors, single 8-pin EPS12V and 24-pin ATX connectors plus three triple-connector SATA cables and two quad-connector Molex cables. Both PSUs offer quad 12V rails rated at 25A each, use premium 105ºC Japanese aluminium electrolytic capacitors and boast 80 Plus Platinum certification, with the C900W and C750W being the company's first fully modular PSUs in this rating. In Win claims up to 92 percent efficiency at 50 percent load, 90 percent efficiency at 100 percent load and 87 percent efficiency at 10 percent load. The C900W and C750W measure 165mm x 150mm x 86mm (L x W x D) and offer a seven-year warranty. For more information, visit www.inwin-style.com.